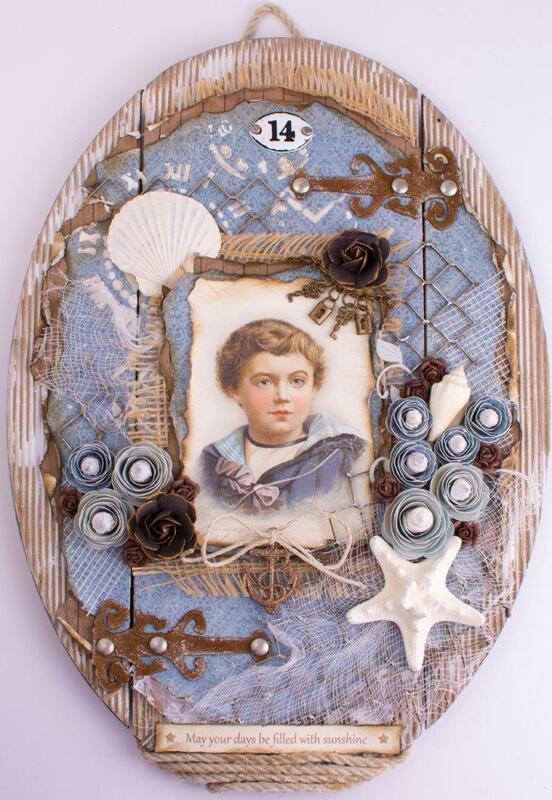 Nautical decor is a popular theme and the Shoreline Treasures collection of maritime colors and images offers countless opportunities for projects. I made this distressed Marine Wall Panel using these timeless blue and brown papers. The handcut roses have little seashells nestled in their centers. What a truly inspirational collection this is!